No product pitches, no pressure. 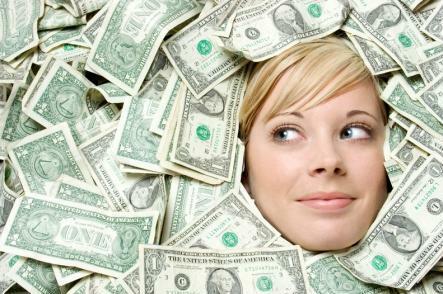 Just honest information about peer to peer loans and personal loans to ditch your debt. Welcome to Peer Loans Online and the peer lending revolution. You might not have heard much about peer lending yet or you might have heard some shady information from another site trying to push people to their lending website. By the time you’re done here, you’ll have all the info you need to make a better decision about personal loans and how to use p2p loans for borrowing and investing. My name is Joe and I’ve been there. Where’s there? Everywhere. I’ve saved money and learned how to live on less but there was also a point in my life when I lived paycheck-to-paycheck, relying on payday loans to get me through the week. I’ve used just about every type of loan available and I’ve been a loan counselor at a local non-profit debt counseling service. I’ve seen the dark side of credit, the predatory interest rates on bad credit loans and ‘starter’ credit cards. I’ve also seen the good side of debt, the ability to create something on borrowed money and earn returns well over the interest rate. This p2p blog is about sharing everything I've learned about credit, how to improve your credit score and how to use credit to get the money you need at an interest rate you can afford! Know what you want and just need to check out your options? Click through to our resource list of the best bad credit personal loan websites. Peer lending is nearly identical to traditional bank loans. You fill out an application online which is reviewed by the peer lending platform. The p2p lending website will quote an interest rate on the loan and put it on its site for investors. The only difference between a bank loan and a peer loan is that investors fund your p2p loan directly, without the bank getting in the way and taking a cut of the profits. Without the middleman bank or big-money firms taking a cut, borrowers get lower rates and investors get a better deal. You make monthly payments on your personal loan just like any other loan and the peer lending site passes the money on to investors. You get faster funding, in as little as a few days, and the investor gets higher rates of return. Peer lending is part of the social revolution. The internet has allowed people to connect like never before, now helping people get the money they need through p2p loans online. Peer loans are a tool just like any other type of credit. Use them responsibly, paying off high-interest credit cards or for home improvement, and you’ll be able to do more than you thought financially possible. Use them irresponsibly, to buy more than you can afford, and it’ll be like taking a sledgehammer to your credit score. Improving your credit before getting a loan will save you thousands of dollars. Check out these three credit score hacks and how to get a cheaper loan. Because I’ve been where you are right now, looking for options and information about personal loans and credit, I wanted to make Peer Loans Online an online loan resource for everyone like us. The blog is about how to use peer loans and other types of credit to get out of debt and build something good. No question or subject is off-limits. I won’t be pushing any particular lender or loan product so I can say pretty much whatever I want about the companies and the personal loan industry. I want to be your source for honest advice on how to use good debt and avoid bad debt. Ready to get started learning about peer loans? Check out a few of these articles to get you started understanding the revolution in peer lending. Investors can check out our special page dedicated to investing in peer loans and how to pick great investments. Borrowers will find detailed reviews on the different peer lending websites as well as how to use peer loans responsibly. How does your credit score stack up against everyone else? I put together the ultimate guide on credit scores including the average credit score and how to start fixing your credit today! Peer to peer lending has been a huge resource for bad credit borrowers. I know because I used peer loans after destroying my credit score. The banks wouldn't give me the time of day and even credit card companies started denying my applications. I couldn't get a loan on my bad credit and it looked like bankruptcy was the only option. Then I applied for a peer loan and things started to turn around. Because p2p lending is done by real people, you aren't restricted to the unfair lending standards at regular banks. Even bad credit borrowers can get the money they need and sometimes even no credit borrowers can get loans. That doesn't mean peer loans will solve all your bad credit problems but it's been a huge help for me and millions of other Americans. I spend a lot of time on the blog, writing about how to use peer to peer lending responsibly and use it as a tool to repair your credit and get money when everyone else says no. Hi, My name is Joseph Hogue. Born and raised in Iowa, I graduated from Iowa State University after serving in the Marine Corps. I started out in corporate finance but quickly realized that I had a passion for investments and helping people understand their money. That led me to open my own firm, Efficient Alpha, providing research and analysis for financial advisors and institutional investment firms. I have appeared on Bloomberg and led a team of equity analysts for a Canadian private equity firm. I also hold the Chartered Financial Analyst (CFA) designation, the gold standard for ethical and professional conduct in investment management. So why does a guy go from Wall Street to running a blog on peer lending? I truly believe that the peer lending and crowdfunding trend will revolutionize the financial markets in America. It is about opportunity and financial freedom for everyone! Working in investments, it became clear very quickly that the cards were stacked against regular people like you and me. Years after the Great Recession, people are not able to get personal loans or small business loans because of overly strict policies at traditional banks. Regular investors are locked out of start-up financing and high-return investments from regulations. Peer lending and crowdfunding is changing all this. Peer loans are opening a path to financial freedom to millions that to pay off high-interest credit and get the money they need for home improvement and small business. It is truly a revolutionary time for finance and investment in America. I'm excited to be a part of it and I hope you will join me.